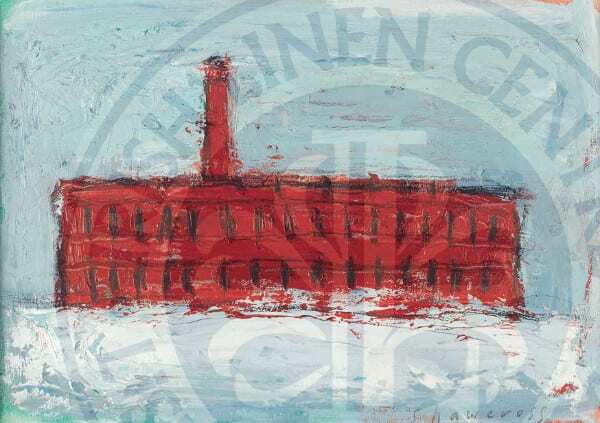 This picture was inspired by the artist seeing the red brick mass of Hilden Mill vividly set against the white of surrounding snow. linen-thread works in the world. Production ceased in 2006.